Regular cover by Andy Suriano! 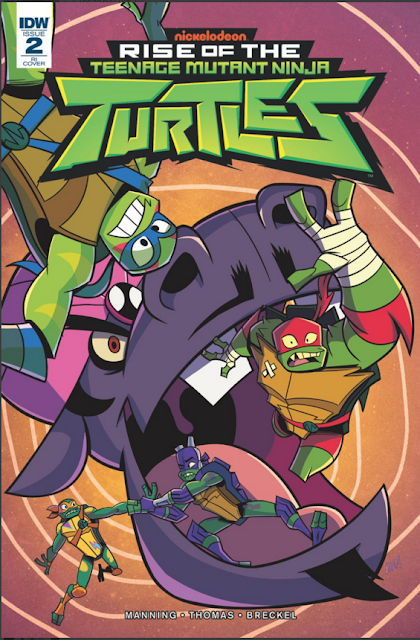 As if fighting the terrifying Man-Bun last issue wasn't enough for our Teenage Mutant Ninja Turtles in training, this issue they're forced to face two different threats, the mutated worm Warren Stone and the mesmerizing Hypno-Potamus! 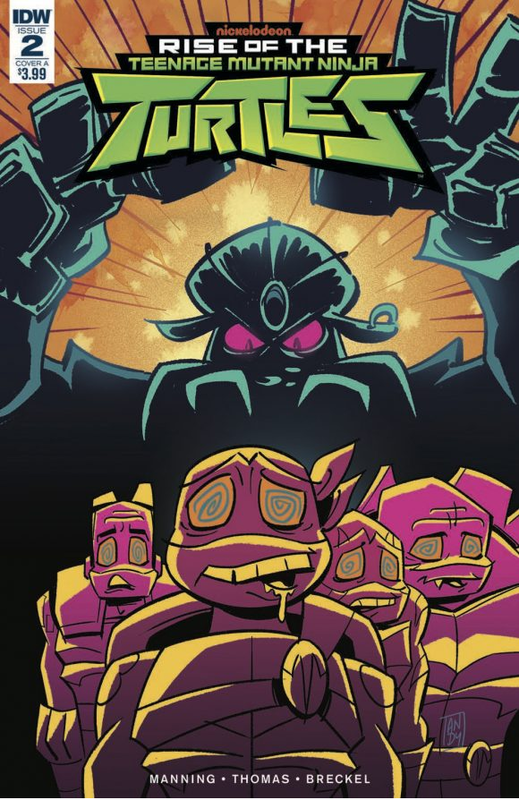 Rise of the Teenage Mutant Ninja Turtles # 2 is out in stores this week (November 14th). Chad Thomas did another fantastic job illustrating my script, while colorist Heather Breckel, letterer Christa Miesner, and editors Bobby Curnow and Megan Brown made sure our nonsense looks as good as mutant-ly possible. Curious to see more? The nice people over at the 13th Dimension have a five-page preview of the issue that you can check out here.